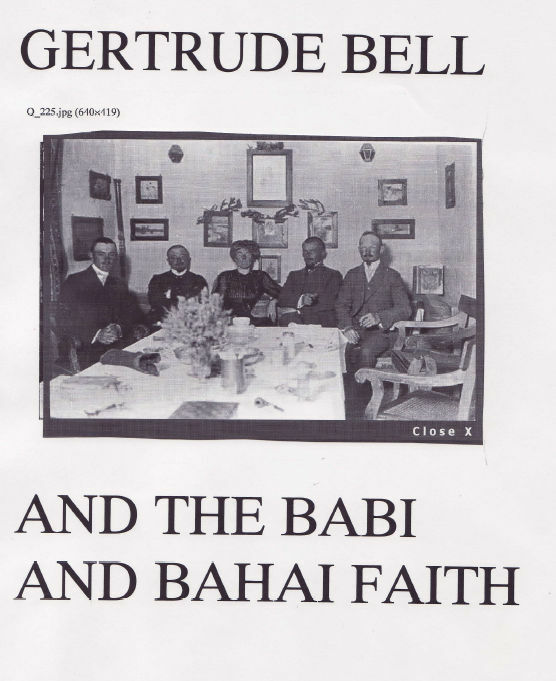 Notes: Gertrude Bell (1868-1926) was a British scholar and government official who knew the Middle East well, met `Abdu’l-Bahá and was in contact with Bahá’ís in Iran, Iraq and Palestine. 128 pp. Appendix “Ex Oriente Lux” is from The Monthly Review, No. 34, vol. 12, July 1903, pp. 100-115.